Authors: Machius, M., Declerck, N., Huber, R., Wiegand, G.
Cite: Activation of Bacillus licheniformis alpha-amylase through a disorder-->order transition of the substrate-binding site mediated by a calcium-sodium-calcium metal triad. 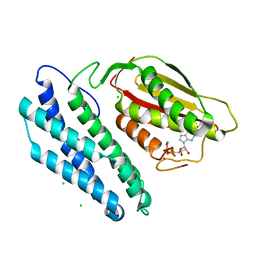 Authors: Machius, M., Henry, L., Palnitkar, M., Deisenhofer, J. 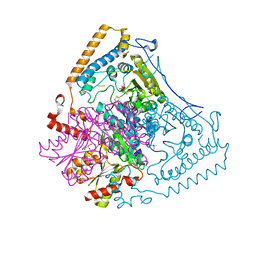 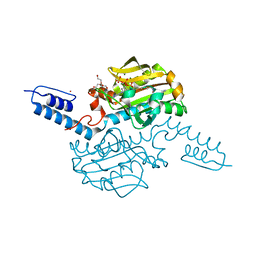 Cite: Crystal structure of the DNA nucleotide excision repair enzyme UvrB from Thermus thermophilus. Authors: Machius, M., Wiegand, G., Huber, R.
Cite: Crystal structure of calcium-depleted Bacillus licheniformis alpha-amylase at 2.2 A resolution. Authors: Machius, M., Chuang, J.L., Wynn, M.R., Tomchick, D.R., Chuang, D.T. Cite: Structure of Rat Bckd Kinase: Nucleotide-Induced Domain Communication in a Mitochondrial Protein Kinase. 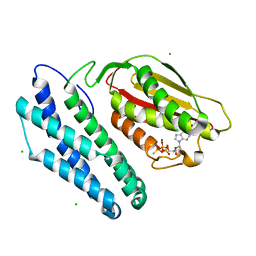 Authors: Machius, M., Chuang, J.L., Wynn, R.M., Tomchick, D.R., Chuang, D.T. Authors: Machius, M., Cianga, P., Deisenhofer, J., Sally Ward, E.
Authors: Machius, M., Brautigam, C.A., Tomchick, D.R., Ward, P., Otwinowski, Z., Blevine, J.S., Deka, R.K., Norgard, M.V. 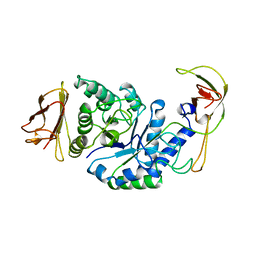 Cite: Structural and Biochemical Basis for Polyamine Binding to the Tp0655 Lipoprotein of Treponema Pallidum: Putative Role for Tp0655 (Tppotd) as a Polyamine Receptor. 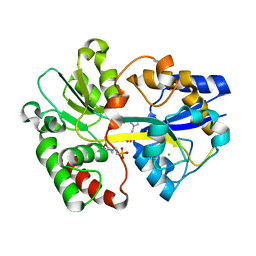 Authors: Machius, M., Brautigam, C.A., Deka, R.K., Tomchick, D.R., Lumpkins, S.B., Norgard, M.V. 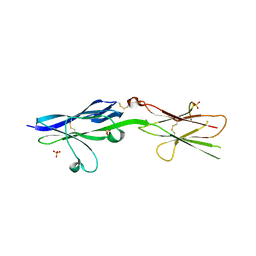 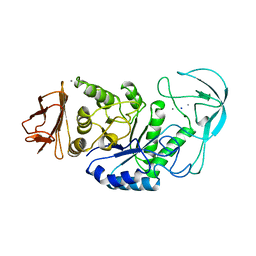 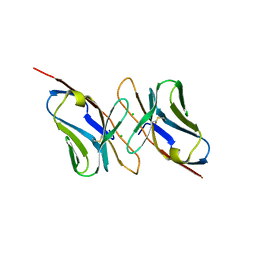 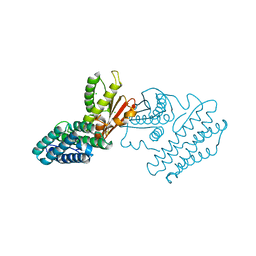 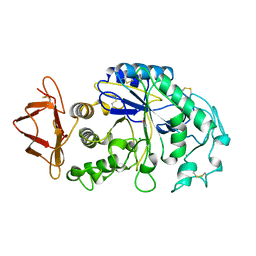 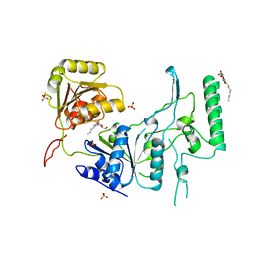 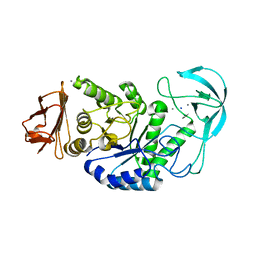 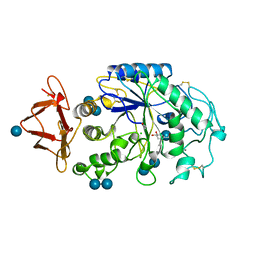 Cite: Crystal structure of the Tp34 (TP0971) lipoprotein of treponema pallidum: implications of its metal-bound state and affinity for human lactoferrin.